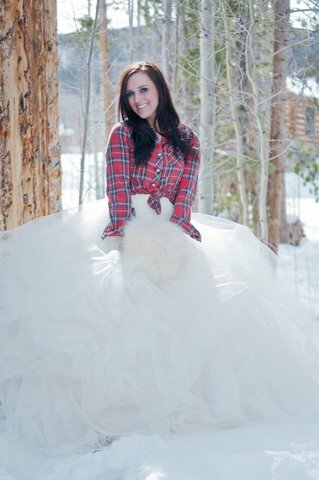 Barn weddings are one of my favorite styles of chic rustic weddings and I often hear from brides wondering if I have any advice for planning a barn winter wedding. 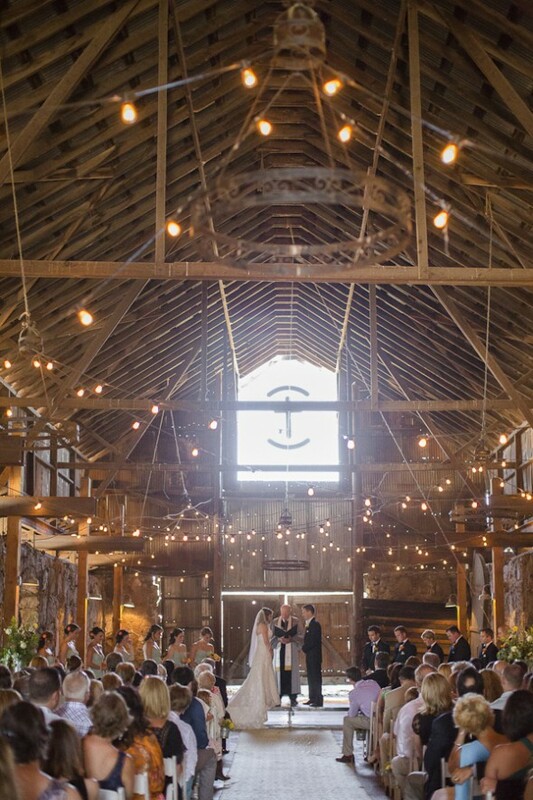 Barns are a perfect wedding venues for really any of the four seasons it just comes down to doing a little homework to make sure that your barn is suitable for a winter wedding. If you are planning a barn wedding in the winter season you will most defiantly want to check out this winter barn wedding for some inspiration. 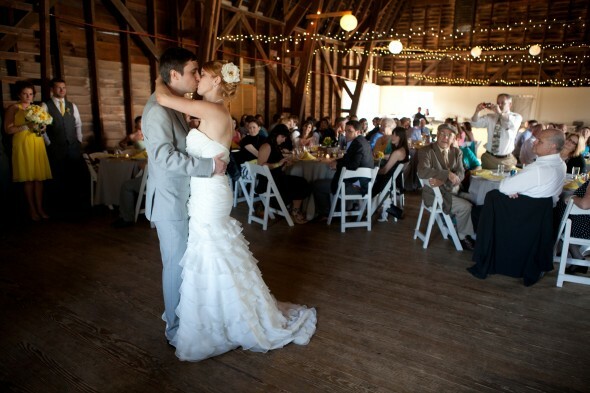 Tip #1 – Visit Often – One of the best tips I can give to couples who are planning a barn wedding in any season is to visit the barn venue often and at several different times of day. 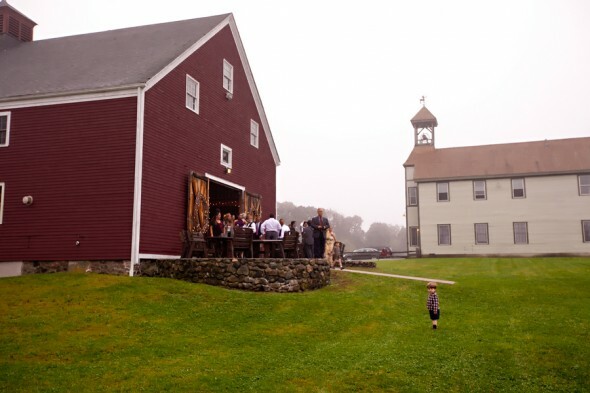 If you are planning a winter barn wedding you will really want to make sure you head over to the barn close to the same time you will actually be getting married so that you can see what the venue is like in that season. This will allow you the chance to see if the barn is chilly, drafty or down right freezing. By doing this you will be able to project what sort of heat you might need to supply. If you are planning your wedding at an established barn wedding venue you might want to speak to the person in charge of the space and ask what it is like when you get a large number of guests in the space, what sort of heat do they have built in and can it be regulated if things get too hot once everyone starts dancing? If you are planning on having your wedding at 5pm then you should try to visit the barn at least once at that same time to see what the space looks and feels like at that exact moment. Many couples visit their wedding venues early in the day when they first preview the venue which often times is not the same time they will actually be getting married. 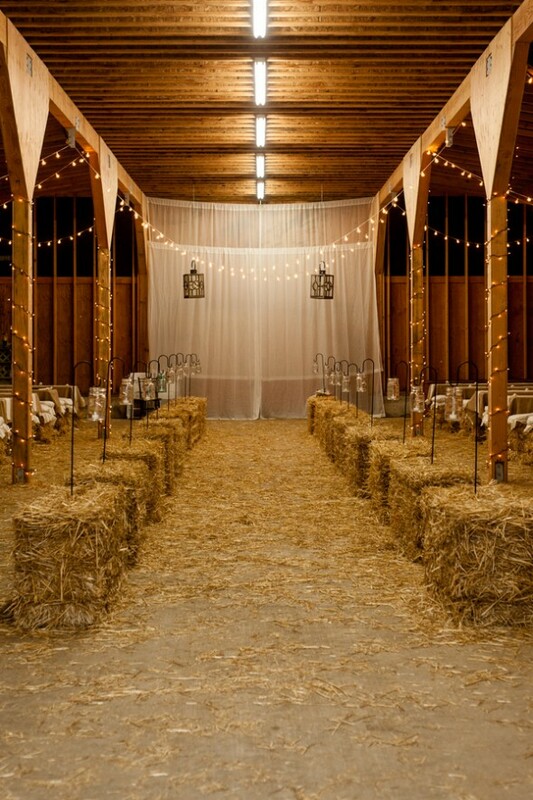 Many venues but in particular barns can look differently in the evening so make sure you get a good look at the space. Tip #2 – Don’t Skimp On Rentals – It might seem obvious that when hosting a big event like a wedding you will want to make sure you have a little of extra of everything on hand but what many couples don’t realize is that they need to plan for the unexpected. Make sure you have at least one extra dinner table stashed someplace just in case extra guests show up, order more glasses than you could ever need because no one brings back their same glass for a refill and the more chairs the better. Rentals can be one of the largest cost at a wedding but by having just a few extras around it can mean the difference between things running smoothly and things needing last minute and anxiety producing attention. Tip #3 – Talk To Past Brides – Any good venue will have a list of previous brides who you should be able to contact to ask questions and get advice. When planning a barn wedding I highly suggest asking for a past brides info and asking questions about the temperature of the barn, how the traffic flow worked in the space, what she do differently and what did she feel she could have done without. 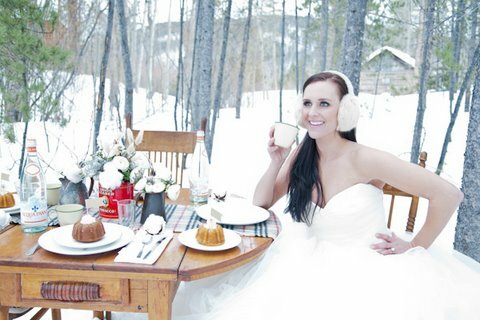 Make sure the bride you are talking with also had their wedding at the same time of year and if you are concerned about the temperature in the space ask this bride if she rented extra heaters and from who. Many brides are more than happy to talk about their big day and often times comes with a wealth of information about the venue. 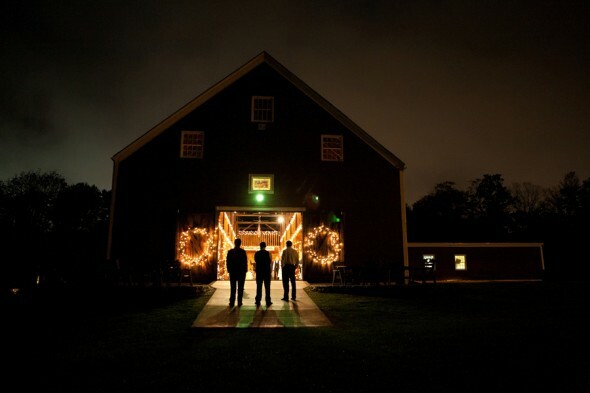 Tip #4 – Light It Up – Unlike any other season, the winter season loose sunlight super fast and the very nature of a barn is usually dark anyway so lighting the barn is beyond important. While small white lights can look great and add a hint of drama to space they don’t give off too much valuable light so you will want to make sure that you speak with a lighting expert from a local rental company to see if and where a spot light might be needed. 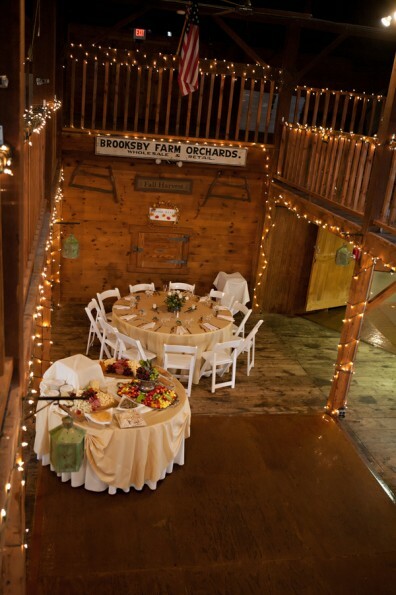 Lighting up the dark corners of the barn are important so that your guests can see their dining partners, find their way to the bathrooms safely and enjoy the many features of the space. Tip #5 – Keep Guests Happy- The weather can be unpredictable so plan ahead so that all of your guests are happy on your wedding day. Even if you don’t live in a cold climate you never know what is going to happen in the winter season so it is best if your invest in either reasonably priced blankets, scarves or shawls. Nothing will keep guests happier than if the temps get chilly and all of a sudden they are presented with a little something to keep them warm. I have heard several couples say the best thing they did was think ahead just in case the day got colder than they wanted. This is an invest that will insure all your guests will enjoy your wedding day!